Hey there everyone! It's been awhile...hasn't it? I got back from Texas on Saturday evening, and we had a wonderful time with Josh's family! It was really great to see his mom. I don't usually post a whole lot of really personal things on my blog, but this personal story is going to have a happy ending! We found out in December that Vanessa (my mother in law) was diagnosed with two forms of cancer, but they were caught very early. They immediately put together a plan to fight it, and she has been going through chemo ever since. About two weeks before we left for Texas they called us with news that her most recent Petscan came back clear. Nothing there- praise God!! She has to finish out her treatment because the cancer had been in her bone marrow....and they just want to make sure they aggressively kill it so it won't ever come back. Vanessa told us a lot of amazing stories about what has unfolded with her diagnosis in regards to people, friends & family members around her. She has fought this battle with the belief that God would completely heal her through the use of medicine, and teach her even more about her faith and self. I am amazed by her strength, and her determination that cancer & chemo does not define her...it is just part of the path she has to walk in this life. I got a little teary eyed typing that...wow. Anyways....now that I am home, it is time to get back into the swing of things! 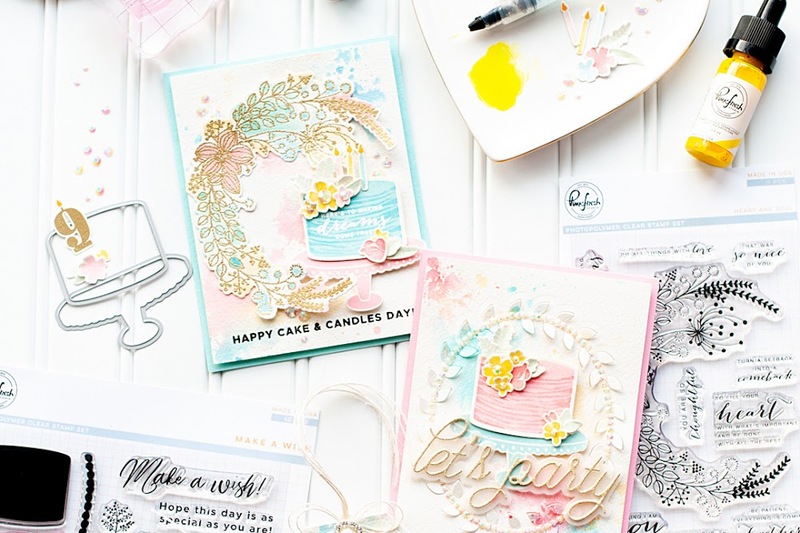 I am a little tardy on my card for my guest design spot at The Shabby Tea Room this month, but Debbie graciously allowed me to be late due to my vacation & crazy travel day home. The inspiration photo this week is gorgeous, full of flowers & beautiful colors. Here is what I created for it! 1. 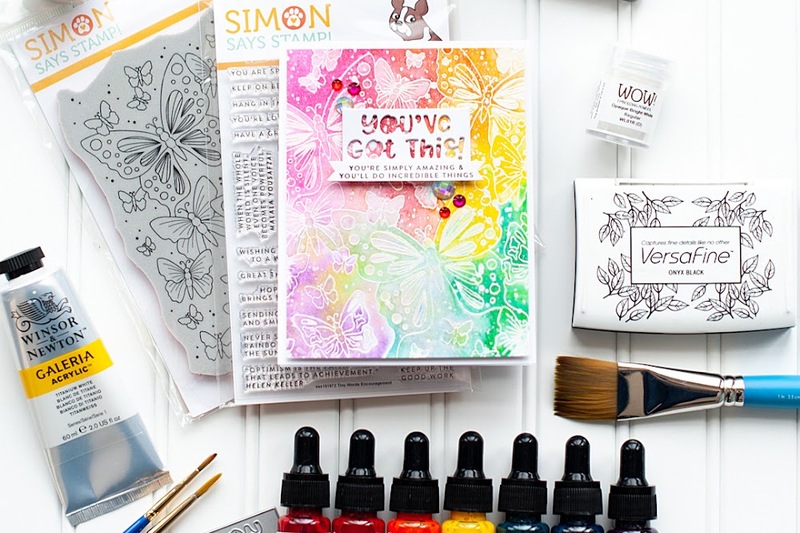 Make A2 card from white cardstock. 2. Cut grey floral paper slightly smaller & adhere. 3. Cut a block of grey dotted paper and adhere to the left side. 4. Cut a floral block, and layer together with a bracket sticker to the dotted paper. 5. Cut a banner edge to a vellum strip, then stamp & heat emboss the sentiment to it. 6. Adhere the sentiment banner to the top, then add a resin & flower accent to it. 7. Layer the flowers to the right side as shown. 8. Stamp an umbrella to white cardstock, cut out and accent with jewels. 9. Tuck & adhere into the flowers to finish. Don't you just LOVE that quote? I've had this Glitz stamp set forever, and never found a reason to use this sentiment. Shame on me...it is PERFECT for spring! So glad that I broke it out and used it! Well, that is all I have to share with you today! I will definitely have more to share this week as I get back into crafting mode! I hope you have a wonderful rest of your Monday! o my! is this ever gorgeous! Wow zeros! 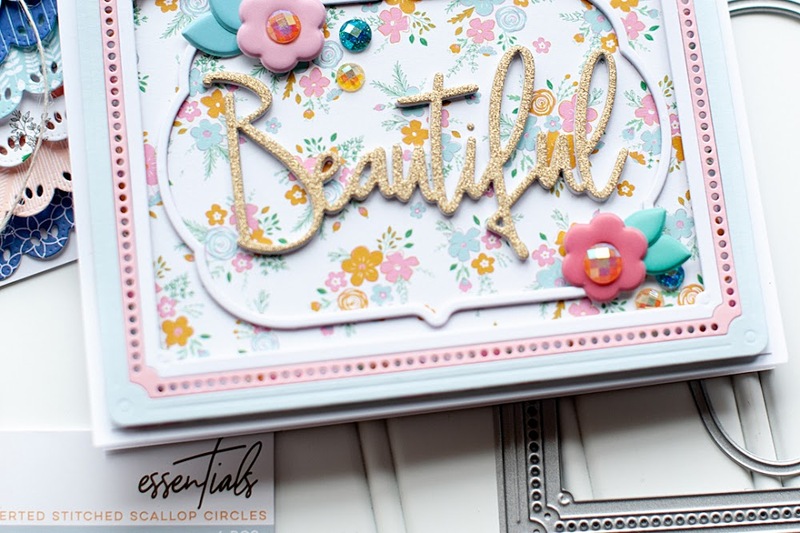 Gorgeous card, Lea! The detail and dimension on here is out of this world! Sooo glad to hear that your mother in law is doing so well in the face of two forms of cancer! I know that is so scary for you all! 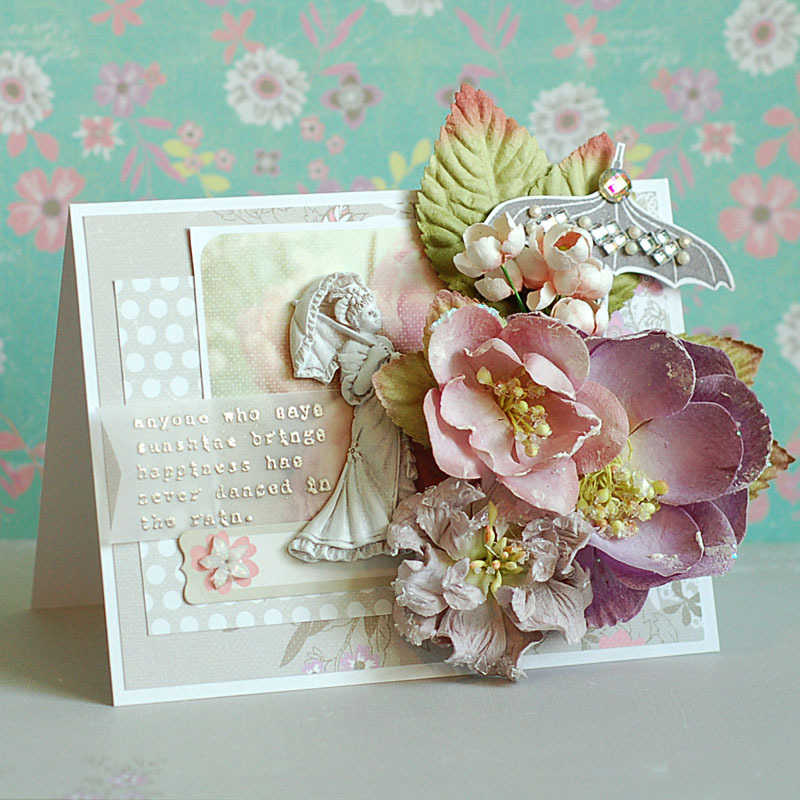 So so Beautiful...love your gorgeous card! This is SO gorgeous, Lea! And I'm so happy to hear about your MIL's successful treatment and that she has such a wonderful prognosis!